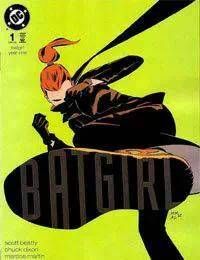 Barbara Gordon, following her chance meeting with Robin at the end of ROBIN: YEAR ONE, aspires to become a vigilante herself. But between the skepticism of Batman and the watchful eye of her adoptive father James Gordon, shes finding the hero biz to be an uphill battle! And in her first time out of the gate, she must take on Killer Moth!